Posted May 7, 2012 by niallfarrell in News. 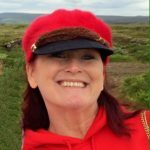 The death has occurred of Catherine (Katie) Morris, (née Duggan) of Cregboy, Claregalway, Galway. Reposing at Sioraíocht within the grounds of the Church of the Assumption and St. James, Claregalway this Monday evening from 4.30pm. Removal at 7pm to the church. Requiem Mass tomorrow, Tuesday, at 11am. Funeral afterwards to Claregalway Cemetery. Family flowers only please. Donations, if desired, to the Galway Hospice.